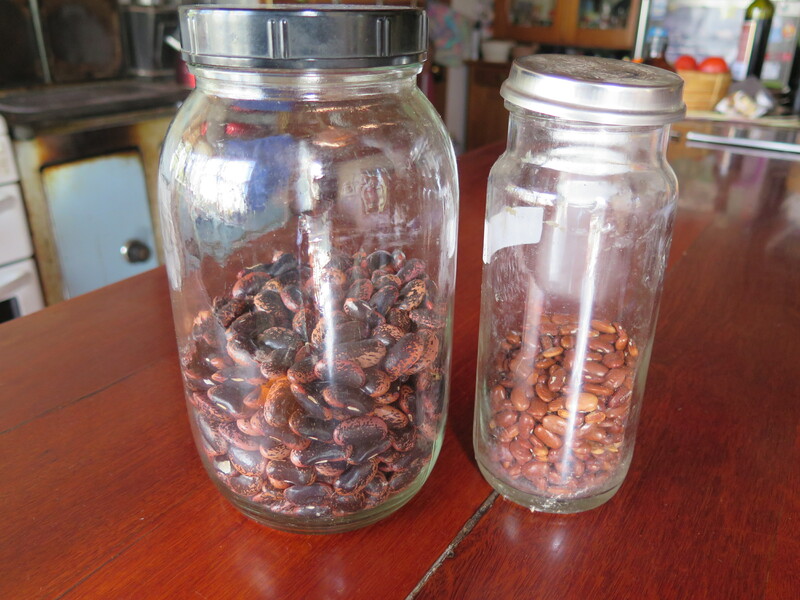 We have jars of dried beans in the pantry cupboard. Many different types. 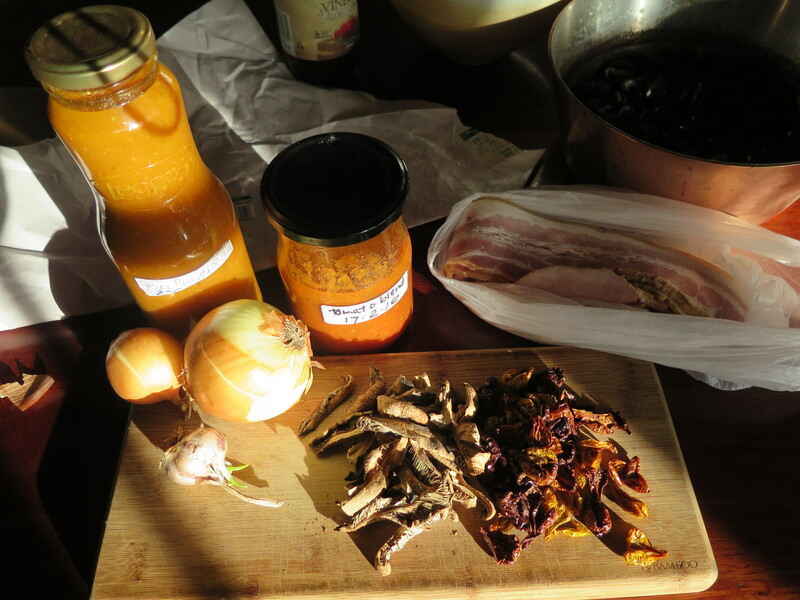 We also have dried tomatoes and dried mushrooms in there too, alongside jars of tomato passata saurse. 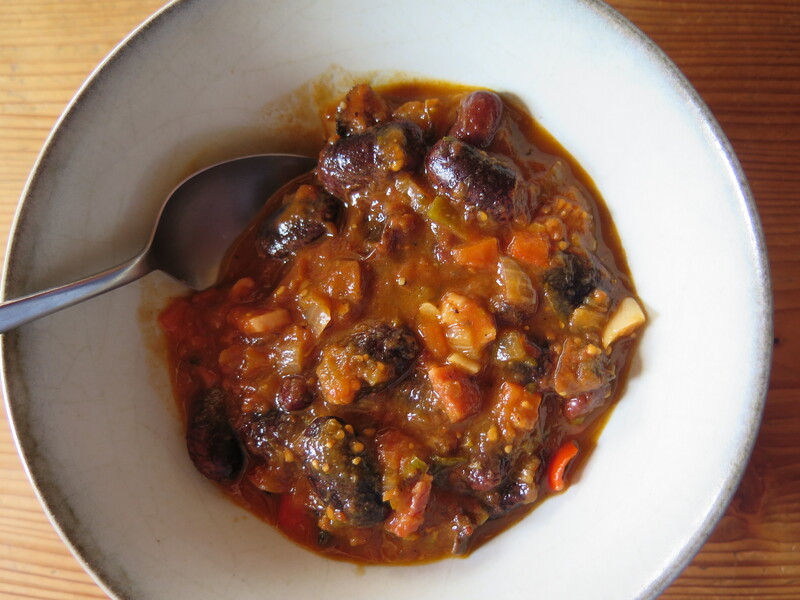 I decide to take some of our storred summer produce to make the simplest of dishes, Baked Beans. 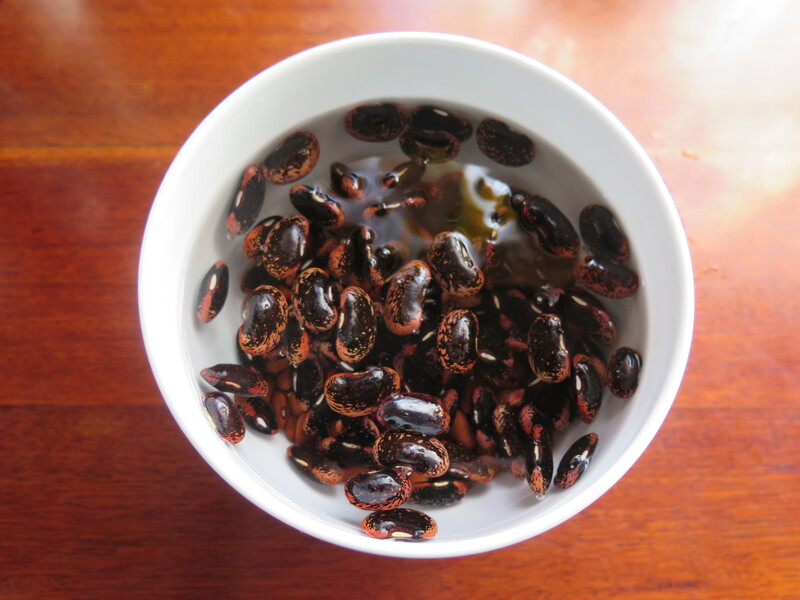 I soak the dried beans overnight, then boil then for an hour or two until they are just cooked. I sweat off some onions and a whole knob of our home grown garlic in the best quality of local olive oil. 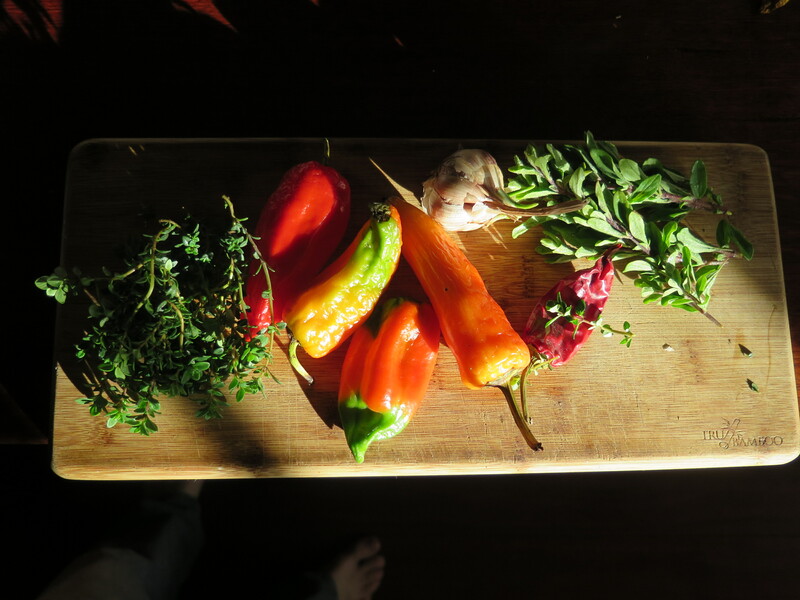 I add fresh thyme and marjoram from the garden, a whole knob of our garlic, along with some local bacon. I add in a couple of jars of preserved tomato puree along with a couple of chilli and capsicums. It all comes along nicely. 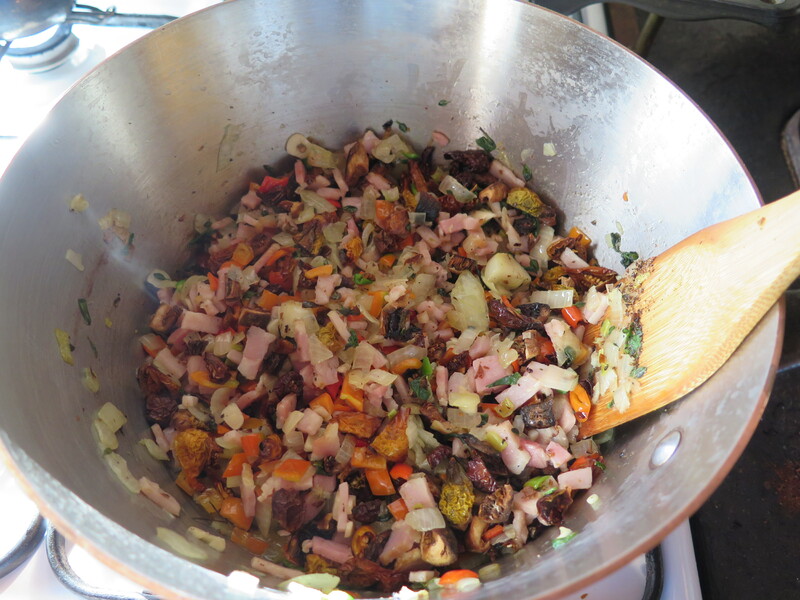 When the herb and vegetable mix is well underway, I add in the pre-cooked bean mix back into the pot and let it all meld in together. I’m tending the dish, when My Lovely arrives and comes into the kitchen. She exclaims, how delicious the smell of the dish is as she comes in through the door. I’m pleased, I want it to be. There is a lot of work storred in all these summer-time ingredients. It ought to be good. If I was making a more traditional baked bean style dish, I’d probably blitz the whole lot. But this is not an issue to me. I’m happy to eat my more chunky version. If I were to do it again quite soon, I’d probably add in some duck breast and some pork sausage along with carrots and celery. But that would be a very different dish. Then I’d call it a French cassoulet. This is just a simple beans and tomato meal with no frills. All grown, dried, preserved and cooked locally. What else can a simple post-modern peasant ask for. The natural rewards of hard work and forward planning. It’s delicious, warming and very nutritious. 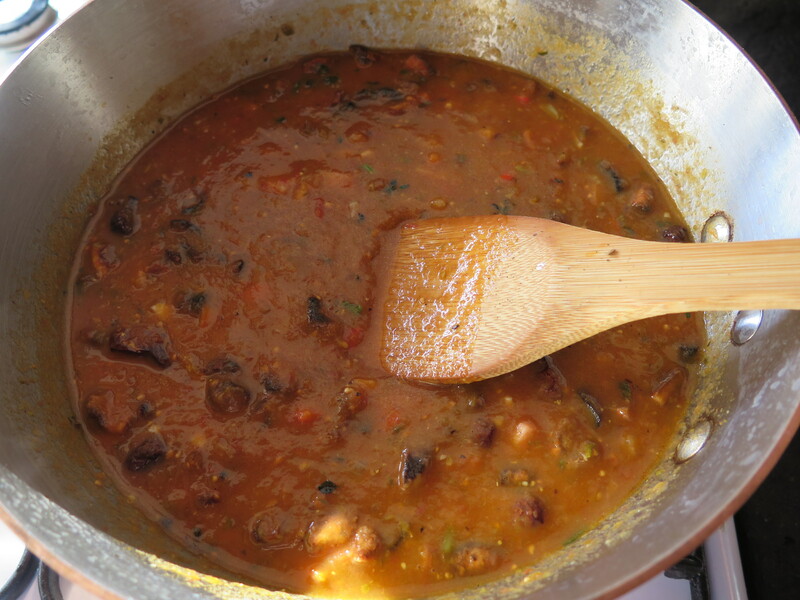 whole pulses and tomatoes like this, combine to favour healthy gut bacteria and good health. Funnily enough, I’m not thinking of my guts as I eat his beautiful meal. I’m just so pleased that it so filling and delicious.